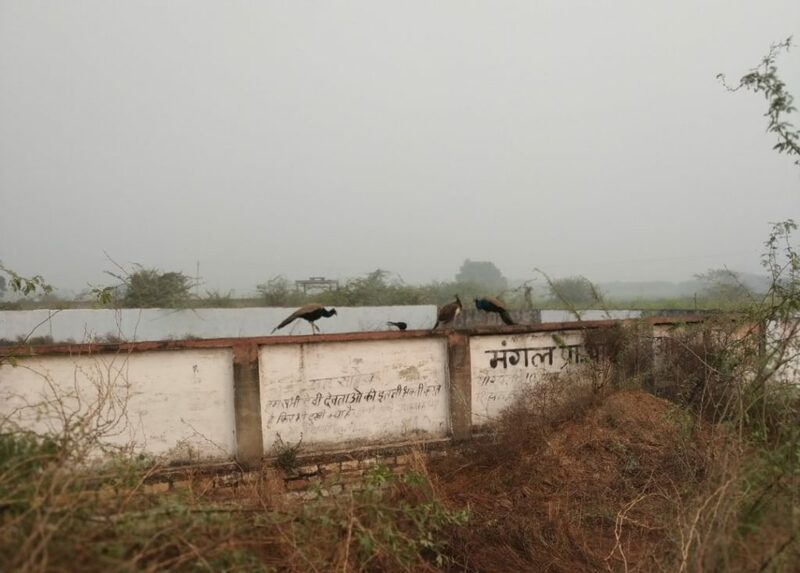 Last week I went to the village and saw these peacocks on the wall of our government school. The school is located outside the village near the farms. In the morning some of the peacocks can be easily found on the school campus.